The MacBook Air's graphics chipset used a portion of main memory as VRAM. Though reported as a 256 MB graphics system, the chipset actually used up to 272 MB of RAM, resulting in a maximum of 1776 MB of RAM available for system use in the base system. Introduced in June 2009, the MacBook Air (Mid 2009) represented both a speed-bump and a cost reduction of the MacBook Air (Late 2008). It shipped in two configurations: 1.86 GHz/2GB RAM/120 GB HD/$1499 and 2.13 GHz/2 GB RAM/128 GB solid-state/$1799. 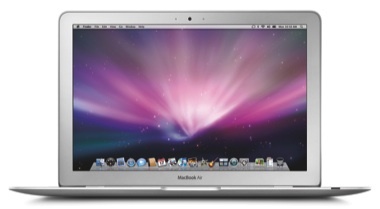 The MacBook Air (Mid 2009) was replaced in October 2010 by the MacBook Air (11-inch, Late 2010) and MacBook Air (13-inch, Late 2010).